James Dorton Park is a 30 acre public park located in the middle of Afton Village along Afton Run Creek. The park includes soccer fields, lighted tennis courts, picnic shelters, restrooms, play equipment, Frisbee golf and walking trails. 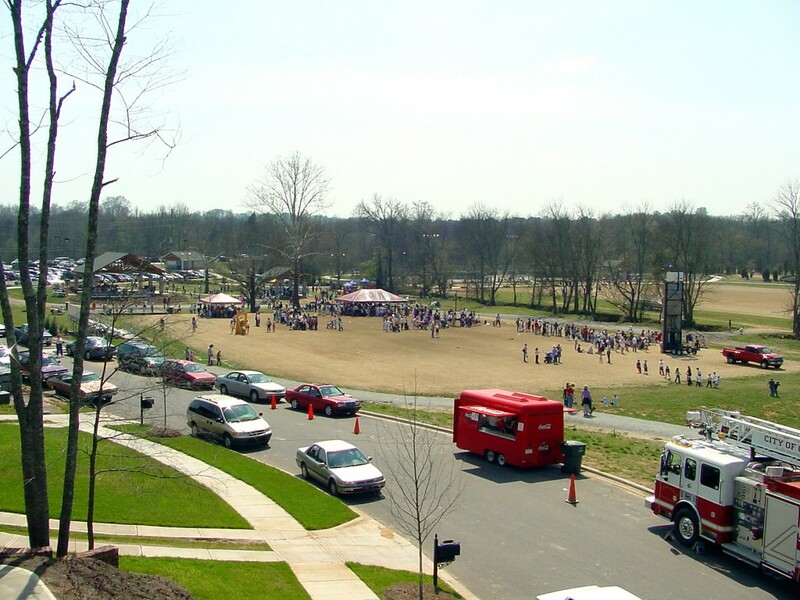 Dorton Park has played host to numerous large scale functions including the City of Concord sponsored Annual Bunny Bash and 5k Fun Run. For more pictures of Dorton Park, please click here. April – October, open daily from 8:00am – 9:00pm. Lighted court facilities close at 11:00pm. November – March, open daily from 8:00am – 7:00pm. Lighted court facilities close at 10:00pm.